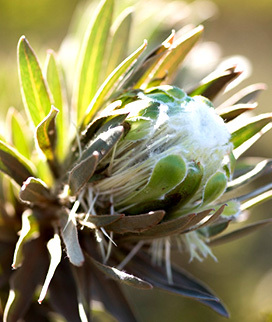 The Southern Cape of South Africa is home to one of the most critically endangered vegetation types on earth – Fynbos. The Cape Floristic Kingdom is the most ecologically threatened of all the Kingdoms and the conservation of the region is of utmost priority. The GCF is engaged in protecting and collecting valuable ecological data for Critically endangered Satyrium muticum found on Gondwana Game Reserve. 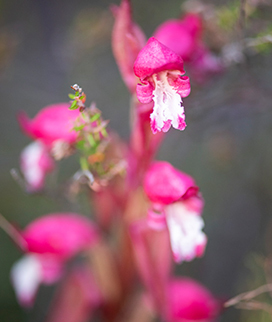 The Gondwana Conservation Foundation (GCF) focuses on the rehabilitation and promotion of biodiversity for all ecosystems within the Cape Floristic Kingdom. 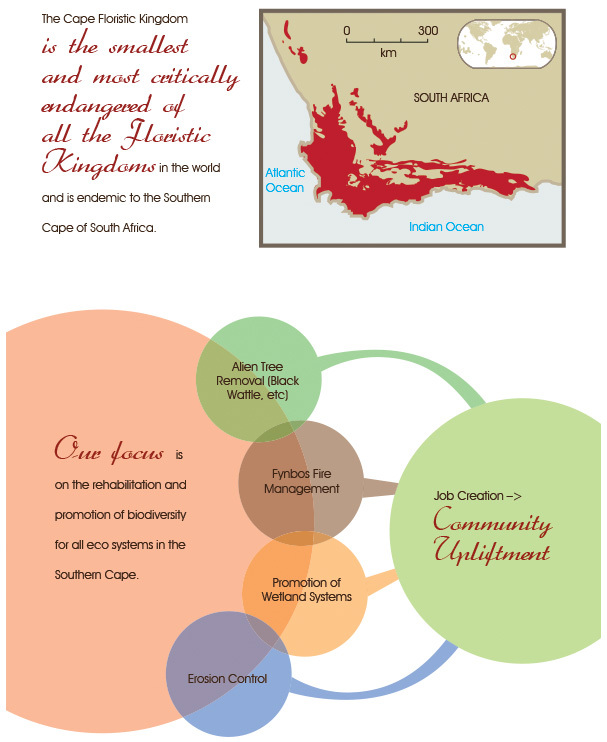 The Cape Floristic Kingdom is the smallest and most critically endangered of all the floristic kingdoms. These critically endangered vegetation types and wetlands are under severe pressure with the invasion of alien vegetation. The GCF has a long term goal of eradicating all alien vegetation in the Southern Cape of South Africa. GCF is embarking on an eight to ten year restoration program on Gondwana Game Reserve and the immediate surrounding area through the removal of all Alien vegetation species and the rehabilitation of disturbed land as a result of the infestation. The project incorporates numerous role players including Gondwana, SAN Parks, Cape Nature, Fire Protection Association, Provincial Government and the private sector.